After announcing the Centenary Collection with the green Away kit in 2000, the Club unveiled the second of their series of kits themed on different eras of the Clubs history in the build up to the Club's 100th anniversary. First seen in the final game of the 2001/02 season, when the team ran out at Rugby Park in the black shirt, white shorts and black socks, the TFG Sports designed kit matched the same design as that seasons Home and Away kits. Officially unveiled two weeks later at an Annual Club Dinner, the black shirt had none of the mesh like or ribbed finish of the other two kits, with a more light weight plain fabric used. However, it did have the same basic style with the V neck collar, this time with a very thin white trim at the collar & cuffs. 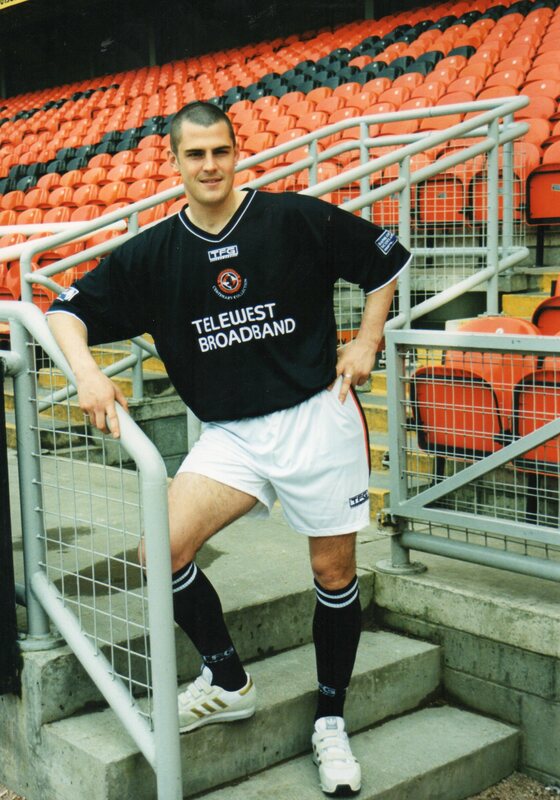 Although released at the end of the 2001/02 season, the kit was designed to match the look of the 2002/03 kits, as Telewest re-branded their logo with the words "Telewest" and "Broadband" now the same size, in a white font that matched the other two kits that season. As with the previous commemorative shirt, the manufacturers logo and the Club badge were placed in the centre of the chest, with the Club badge accompanied with the words "Centenary Collection" in white text underneath.